Riot spend most of their time chiseling away at a five-year-old sculpture. Featured Gameplay Modes are their chance to just hack at a piece of rock and see what emerges. First implemented last year, the system has seen extreme and absurd variations on League of Legends introduced to the game for short stretches. It’s worked rather well: in fact, Riot might yet succumb to players clamouring for the return of their favourites. 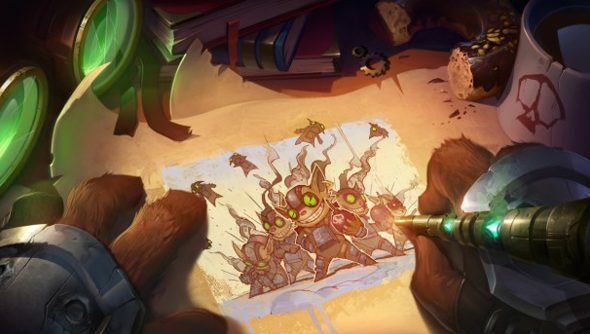 Riot’s plan is to evolve featured modes before they bring them back, to ensure they’re different and better than they were on their first cycle. “All that said, not all game modes will be nexus knockers,” said RoboLions. Asked why Riot take down Featured Gameplay Modes at all, rather than run them perpetually, RoboLions cited the difficulty of “maintaining the bugs and balance” across many different variations. “Also, cool game modes, even ones as cool as URF, will suffer from player fatigue over time,” he reasoned. What’s been your favourite experimental mode to date? I know lots enjoyed seeing all 10 players as the same champion in Mirror Mode.